A lounge chair with a timeless and recognizable profile, designed for lounging in the utmost comfort. Form pressed veneer wood gives the shell its characteristic shape. Made-to-order textile and leather with base color option of black, grey, oak, dusty green, bluish-black and dark blue. Plastic glide and felt glide included. 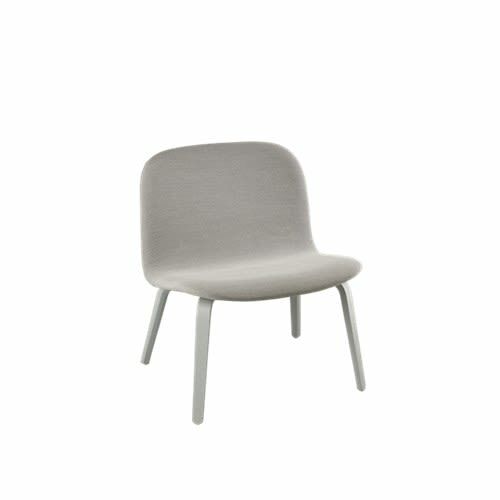 Option of premounted felt glides upon request for orders above 50 chairs. Material: Lacquered ash or oak.